The main goal is to touch an avatar inviting him to take part of our ideological position. 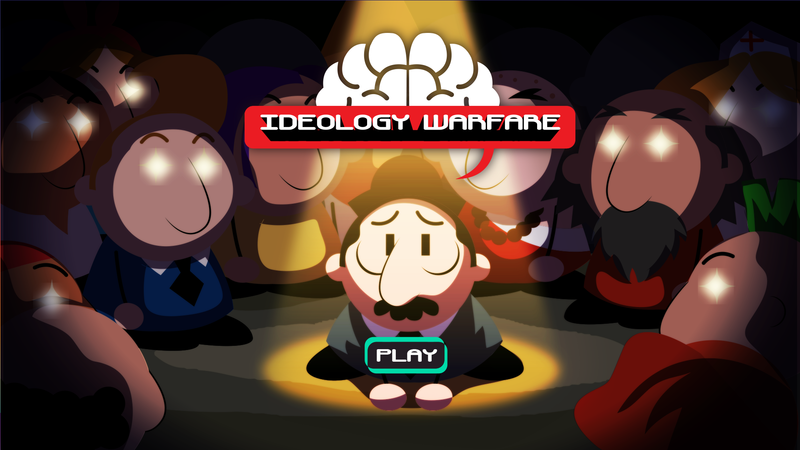 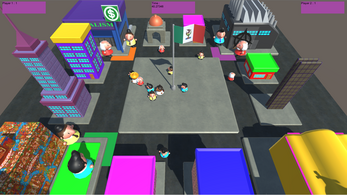 We create a video game called Ideology Warefare, the main objective is to make aware about the different opinions and positions that could be religious, political and economic slopes and how this differences can be used for our own good or ill. Ideology Warefare is a multiplayer party game, the main skin is based in Mexico City. Begins with a group of people that appears sudden in a place, this crowd is dispersed and one character has to invited adepts, the main goal is to touch an avatar inviting him to take take part of our ideological position represented by a bank, church, school and a fabric. 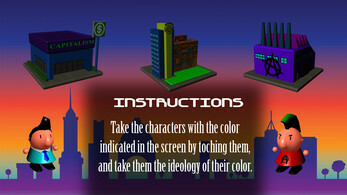 This is done simply by touching him and returning to the corresponding meeting point.